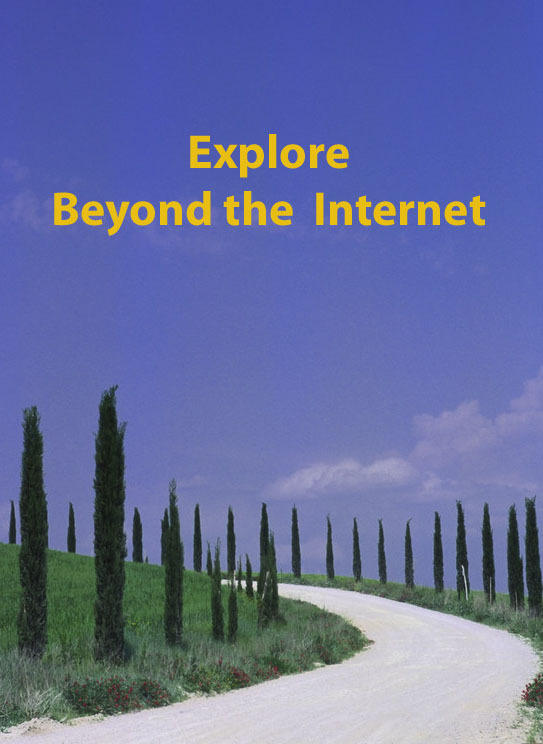 This is Week 43 in my Beyond the Internet series in which I explore the sources of information beyond our computer screens. This week we’re off to Ireland’s green fields with the Griffith’s Valuations. An extract of the Valuation for Ballykelly townland in the parish of Kilseily, Clare. The new online access at AskAboutIreland makes it easy to link the search with the map reference indicated by that originating number, but again, do we go beyond that? How about the field books, perambulation books and house books that lie behind the valuation? Yes, they don’t exist for all parishes but wouldn’t you want to check? Unfortunately they’re mostly only available in Ireland but if you’re sufficiently keen you may choose to employ a researcher to follow it up, especially if you can determine they exist. The complication throughout is to know which one is really is your man (or woman)! From my point of view you need some other way, eg parish registers, to be assured of which one you need to be following. The Irish Valuation Office now has current valuation information available to search online (try typing in your county and townland). While there are no maps available, I see this is “coming soon”. I was surprised just how familiar were the names of people still holding land in Ballykelly – echoes of the 1911 census and also Griffith’s. Also surprised to find one missing that I expected. Not really of great specific use but interesting none the less! These are one of the unsung heroes of Irish research. 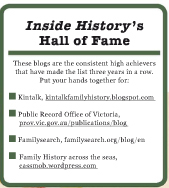 Have you found your ancestors in the Griffith’s tables? If so, they will enable you to trace who took over the family’s property generation after generation. Not only that, you’ll have a good chance that they’ll tip you off on when various family members died. 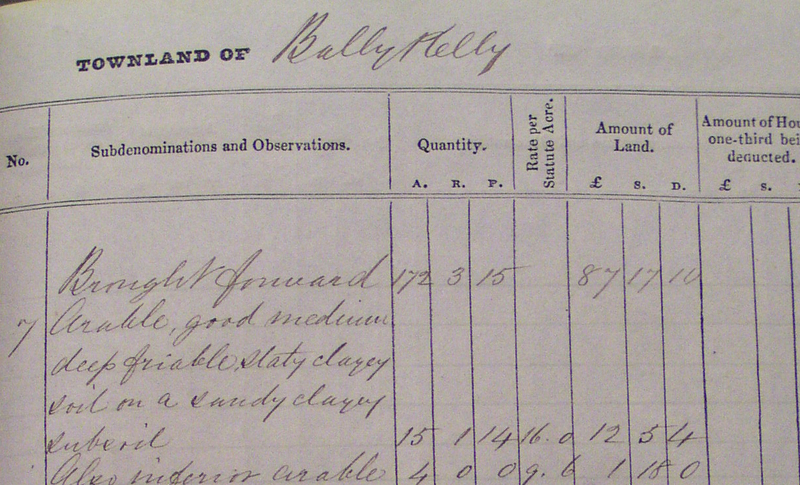 An extract from the Ballykelly, Co Clare valuation revisions. It notes that in 1950, my ancestor’s family home was in ruins. 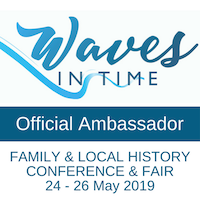 The good news is that these are available wherever you live because you can order them through the Family Search catalogue and have them delivered to your local family history centre or approved library. The easiest ways to find the correct film is to search the catalogue by keyword (not anything else). For example if I enter “valuation revision Ballykelly Clare” I promptly obtain film number 819471. The other benefit is that it lets you search beyond the timeframe of the initial valuations to perhaps find your ancestor. For example, I wanted to see where my James Sherry and his family were living in the townland of Knockina outside Gorey, Wexford in the 1870s before they emigrated (I had Knockina from the Gorey parish registers). The valuation revisions suggested to me that they must have been living in a property owned by the Southern and Eastern Railway as that was the only property not attached to a specific family and I knew he was a railway worker. If my deduction is correct, it suggests he may have held a position of some responsibility although it’s likely he was still a grassroots worker. 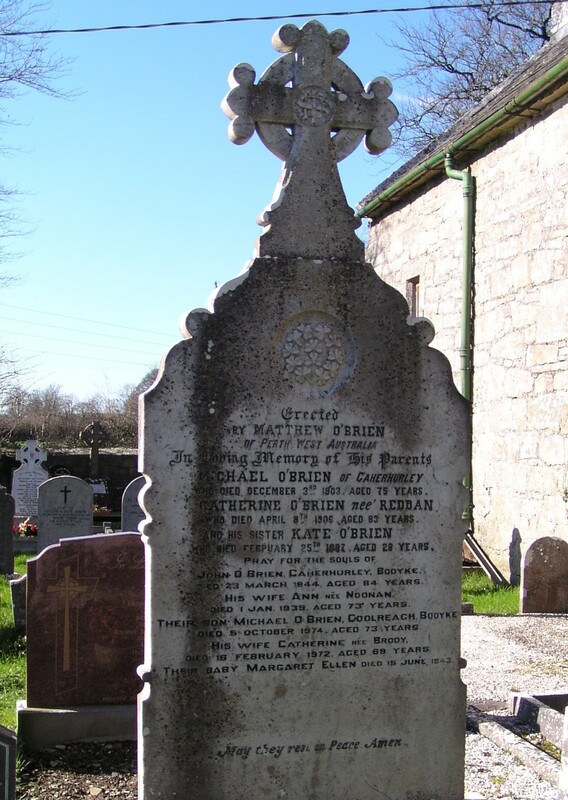 You may also want to have a look at my post, Finding Irish Ancestors Part 2-The Old Country, if you haven’t seen it already. Advance Apologies: Week 44 may be a few days late as I have some upcoming commitments and I doubt I’ll get it scheduled in advance. 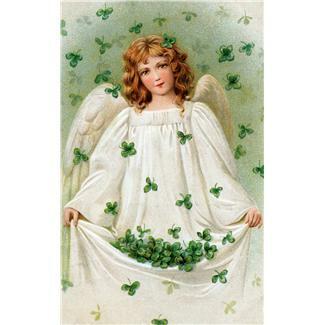 May you have blessings in abundance with your Irish research. In Part 1, we had a brief excursion through the possible records in the new land, to learn where you might learn more about your ancestors’ Irish origins. With a bit of luck you’ve gained some clues on their home place from these resources so now you can turn your sights on the old country’s records. Hopefully you’ve got more than just the county name or you will have a close-to-insoluble problem. Remember that just because “Name eg Gunning” is the only instance you can find in the records, doesn’t necessarily mean it’s the right one! It may mean not all the records survived, or that they haven’t been digitised or indexed. So where to look in Ireland? Let’s assume you’ve got the parish, village or townland because without them you’re in serious research trouble. Image reproduced with permission of Furman University Special Collections and Archives, email 28 Sept 12. If you have the parish name, the first place I’d look is at the Family Search Catalogue and search by place (try parish and/or town). You won’t always find that the LDS church holds a microfilmed copy of the registers, but you may get lucky as I did. 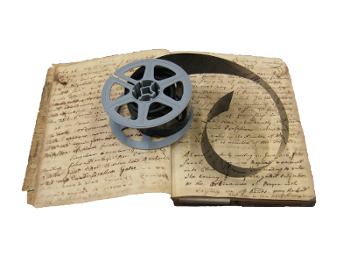 If so you can order the microfilm and have it delivered to a local family history centre or your local genealogical society (assuming they are authorised lenders). You can check available locations here. Be aware that church registers for Catholic parishes rarely go back to the very early 19th century due to storage conditions and restrictions on the practice of the religion. You may find the early years of the registers very difficult to read but it’s worth persevering. The former is a pay-to-view site and can be very helpful, if you’re lucky. It currently covers most of the counties except Clare, Carlow, Kerry, Dublin city and Cork (RC). Irish Genealogy is a free-to-use site and covers the counties omitted from Roots Ireland, with the exception of Clare which as yet is covered by neither, frustrating given that Clare is one of the biggest exporters of migrants. However you can always refer to the Clare Roots Society to see what they recommend (check under the Activites tab). For some time this gravestone in the Tuamgraney churchyard seemed a good fit for my O’Briens, but this lot came from Caherhurley. Erected by Matthew O’Brien from Perth, WA. I’ve had good fortune with both these sites, especially with the Dublin records. Conversely there are births covered in Co Wexford and Wicklow, for example, which aren’t turning up in Roots Ireland as they should. As always, be aware that a negative result doesn’t necessarily mean what you’re looking for isn’t in the registers. This may be due to an indexing error, the church registers which have been indexed, or commencement dates of the register. You can always search each site to ascertain which parishes have been indexed. Where possible it’s always best to check yourself by borrowing the microfilm. You can specify your search within the United Kingdom and Ireland then select one of the Irish options. This can be very helpful for research once you move into the period of civil registration. If you find one that you’re confident belongs to your family, you can then order the certificate, or a copy, from the General Register Office. My 2x great aunt lived in this house near Lough Doon after her marriage in the C19th. There isn’t space to go into this in detail here (keep an eye out for it in a future Beyond the Internet topic in a few weeks). Suffice to say that this land valuation for the purposes of taxation, is the major resource for Irish research and is a substitute for the censuses which were destroyed either officially or in the Troubles. It’s important to also look at the accompanying maps as well. In some cases there are accompanying house books, field books and name books. Not all survive but you should check out what the status is for your family. Do you think you understand the GV and what it was all about? There are so many nuances and this article is invaluable in broadening our understanding. The book is even better but if you can’t buy the book or borrow it on inter-library loan, then the article is an excellent synopsis. I’m restricted in what images I can show you due to copyright and reproduction rights, but please, don’t just settle for searching the indexes. Seeing the original documents give you a much better feel for life “on the ground”, and lets you learn more about your ancestors’ neighbours.. The revision lists which document the changes in land ownership from the time of the original valuation to the present day are at least as important. These date to the 1820s-1840s and were payable towards the expenses of the Church of Ireland clergy, irrespective of the person’s religion. This is a more restrictive source than the Griffith Valuations but can be useful. A more indirect way to locate the prevalence of your family is to search for the stats on the name across the counties. In the majority of cases, the census records prior to 1901 have been destroyed officially or through the Troubles. However there are a few remnants for some lucky areas. There are also some extracts held for people who claimed the pension and had to use census extracts to prove their age. Why oh why are my relatives never on these lists? Complex statistics are available for all the years however and these can be invaluable to get a sense of the place where your ancestors lived and the changes over the decades especially regarding the impact of the Famine. The 1901 and 1911 census returns are the first surviving records for the Republic. Fortunately many people seemed to have great longevity so you may be lucky and find links to the members of your family who remained in Ireland. It’s important not to just look at your specific ancestor in their townland. Do have a look at their neighbours as well -this is the context within which your family lived, and these are the people who formed their daily networks. Indexes are all well and good, but they do tempt you to only focus on your own family when much more can be learned by widening the lens. 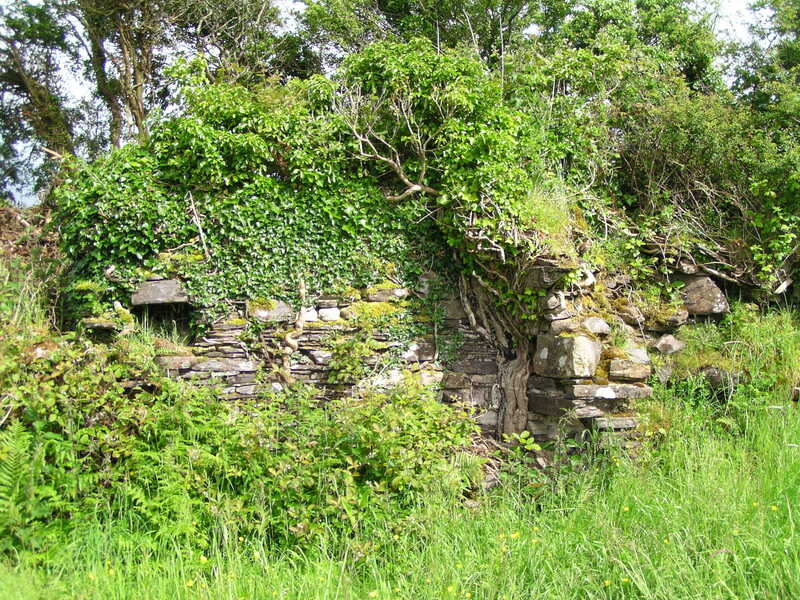 Would a passer-by realise this was the remaining wall of my ancestor’s house, without the help of the inheritor. Yes this is most applicable when you are visiting Ireland and when you know the place your ancestor came from. On my first trip to Broadford, Co Clare, on enquiring about O’Briens I was invited to visit an elderly couple who had no memory of my own family’s migration to Australia. Quite genuinely they told me no one from the village went to Australia but in retrospect and knowing how pivotal the parish priest of Broadford was in encouraging Australian migration, this is quite ironic. They were delightful and happy to help but sadly couldn’t. In those early days too I fear I may not have been as strategic in my approach, and possibly too focused on what I wanted to know. A second trip was a different story when the acting parish priest, a former missionary with whom we bonded after Mass, promptly drove us to the home of someone with a completely different name from O’Brien and announced the presence of their relations from Australia. It’s hard to know how was more astonished as we compared what we knew about Mary and Bridget O’Brien’s lives in Australia. Paddy was enormously helpful to me and showed me the original land and where the house was. I am so indebted to him for this. (You can see the O’Brien land on the header images -it’s the view with the red-roofed shed). 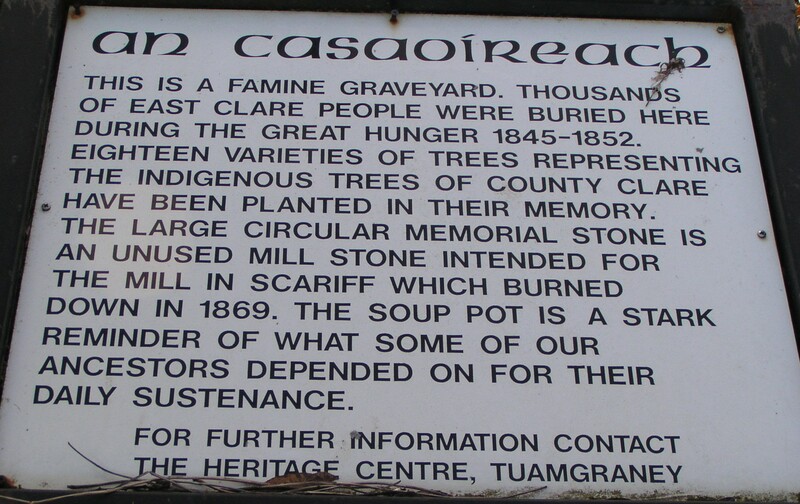 A sign on the Famine graveyard at Tuamgraney, Co Clare. It was only later that I learned about the Valuation revision books and now the name of the final owner made sense! If you know you families were extremely poor especially around the Famine times, it might be worth your while to check the workhouse registers, some of which are now available online. The gateway to these is through this site. The most important thing to remember is to check which Poor Law Union your parish belonged to eg Kilseily parish in County Clare is actually in the Limerick Poor Law Union. 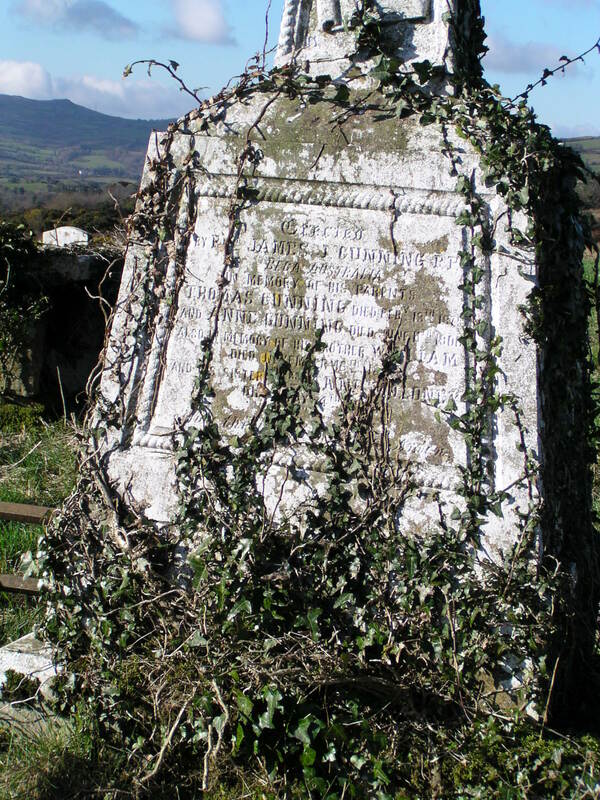 The gravestone of Thomas & Anne Gunning in Kilbane Cemetery, Co Clare. Erected by their son Fr JJ Gunning of Australia. The more distant the person’s death, the less likely you’ll find a gravestone & MI, in my opinion. This isn’t always the case so it’s worth a look but don’t get your hopes up unless your family had money or a position of influence. As many of our Irish ancestors were tenants on estates, one pivotal place to look is for the records of the estates. Where they exist they can tell you all sorts of information ranging from how they paid their rents, which adult children remained at home, how overdue their rentals were, and so on. Some remain in private hands, others are found in the National Library. There’s no one-size-fits-all. 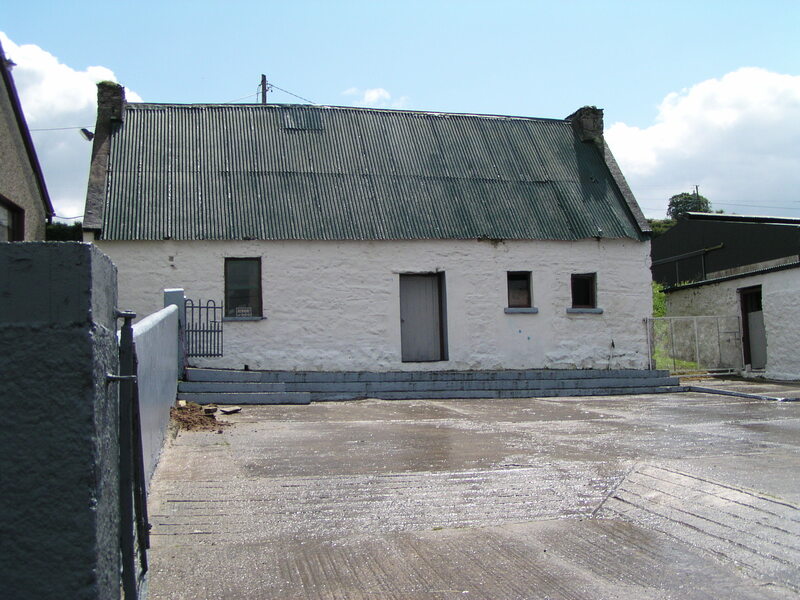 These have been indexed by Findmypast Ireland and you may have some joy in finding your tenant farmers mentioned among these records. This is a quick synopsis of some of the key resources that might help you find your Irish ancestral families. You might get lucky and find hits in all of them or alternatively, none of them. You may have to explore other records, some of which can only be searched in Ireland. The critical fact is knowing at least which parish your family belonged to. Without that you are stumbling in the dark, and even with it, you may hit obstacle after obstacle and be left scratching your head. It’s clear that Irish research can be challenging but it’s by no means as impossible as is often perceived. 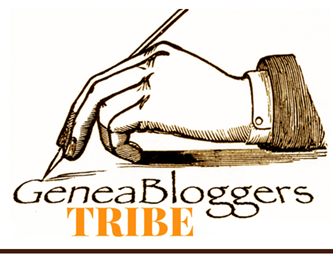 Like a lot of family history it’s a case of persistence and patience….try, try again! And don’t be lulled into thinking I’ve solved all my own Irish family mysteries… I haven’t or I’d know the origins of James Sherry (northern Ireland? ); Martin Furlong (Wexford not Tullamore? ); what happened to Denis Gavin’s mother in Kildare or his wife, Ellen Murphy’s mother in Wicklow. It’s always a work in progress with at least as many questions as answers. I’d be more than happy if my readers pitched in with their experiences in Irish research: successes and “failures”. Over to you.